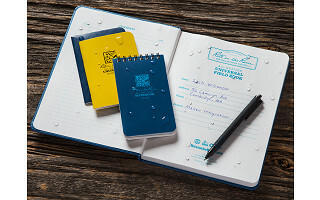 Whether you’re in the rain or the shower, these Made for a Lifetime, waterproof notebooks are designed so nothing—not water, sleet, mud, or snow—can get in the way of you and your notes. 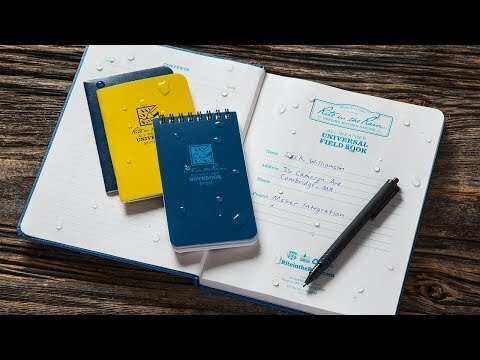 Rite in the Rain pages have a unique moisture shield that you can write on with a pencil, crayon, or special pen made by this same company, even if the paper is wet. Even though the design is really innovative, it was invented almost a century ago by Washington-based Maker Jerry Darling. Jerry wanted to create a writing surface that could stand up to the elements. To this day, his notebooks are still Made in the USA. 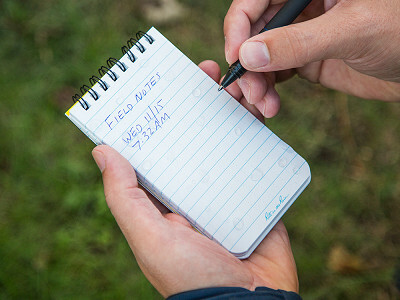 Besides these all-weather notebooks, Rite in the Rain also created an all-terrain pen that writes through water, grease, and mud, and has a pressurized ink cartridge that works in extremely high and low temperatures. 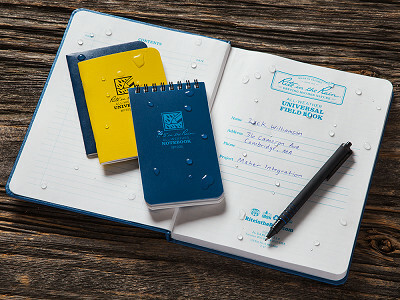 Jot down your best ideas in any weather—rain or shine. Can I use any writing utensil with these notebooks? 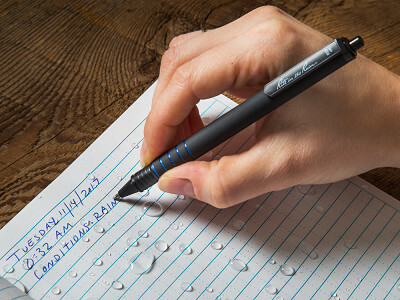 Pencils, crayons, and the special Rite in the Rain pen will allow you to write on the paper even when it is wet. The water-repellent paper will not work with water-based inks. What can these notebooks withstand? 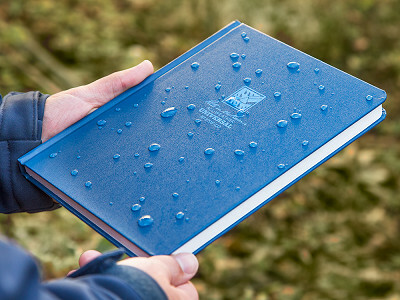 Rite in the Rain notebooks are designed to repel water, sweat, grease, mud, and submersion in water. They're also made for a lifetime. They make great companions for any and all outdoor activities. What is the material of these notebooks? Rite in the Rain pocket notebooks are made from all-weather paper and the bound notebook is made from archival grade paper and a regal hardcover. Both are recyclable.